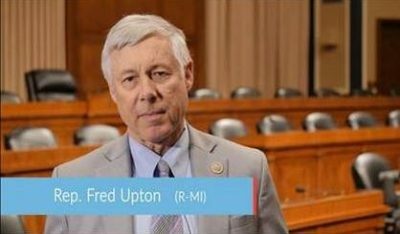 Congressman Fred Upton is encouraged by President Trump’s meeting this week with North Korean leader Kim Jung Un. Upton tells WSJM News at least something is happening on the North Korea front. Upton doesn’t think Trump made any unacceptable concessions to North Korea considering the possibilities. “No nuclear weapons in any of North or South Korea, in essence a promise that we’re not going to be seeking a regime change,” Upton said. Upton says it’s become increasingly apparent just how far behind North Korea has fallen, and the easing of some sanctions could be a reasonable trade for a nuclear-free Korean Peninsula. He says Trump’s meeting got things off to a good start.